After a recent spat led Google to pull YouTube from Amazon’s Fire TV and Echo Show, it seemed like things were finally cooling down when Amazon extended an olive branch to Google by selling Chromecast devices again for the first time in years. But in reality, the beef between the two internet giants does not seem to be letting up, especially now that Google is getting into the audiobook business. Starting today in 45 countries, audiobooks will be available for purchase via the Play Store and the Google Assistant. Audiobooks are generally priced between $7 and $15, though to entice users to give it a try, Google is offering some pretty hefty discounts across much of its library, in addition to 50 percent off your first audiobook. Like Apple’s iBooks and Audible (which is owned by Amazon), there is no subscription required to purchase audiobooks. However, there doesn’t seem to be an option to upgrade to a monthly plan, like you can with Audible if you are planning on powering through a ton of narrated texts. Aside from listening to audiobooks on your phone, Google audiobooks are also available across a wide range of Android devices, including tablets and PCs, and can be played back using the Google Assistant, which will let you navigate or skip pages using your voice. 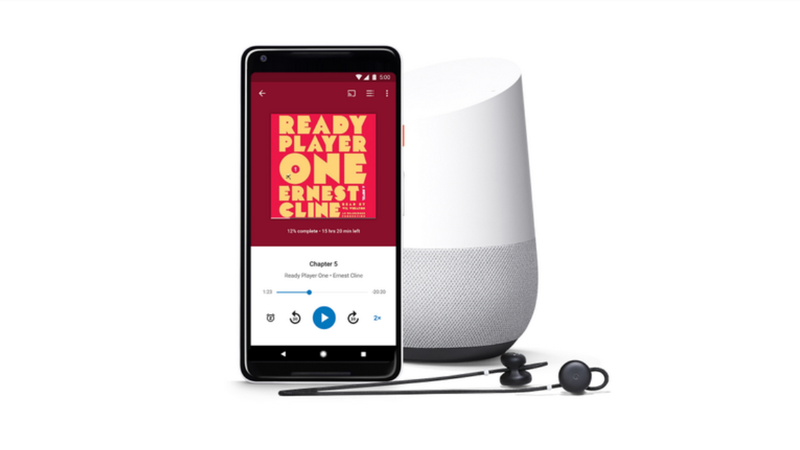 Currently, there are still a few rough edges around Google’s new initiative, because while audiobooks will be available in 45 countries, the ability to listen to books using Google Assistant only works in English, for now. Additionally, if you try searching for audiobooks using the Play Store app on your phone, you’ll only find standard ebooks; at the time this story was published, Google had yet to update the Play Store or the Books app to show audiobooks. With Amazon’s dominance in the ebook and audiobook world, more competition is almost certainly a good thing. I’m just hoping that the battle between Amazon and Google is one that’s waged over, say, sales, and doesn’t devolve into more hissy fits about which company’s services can be used on what devices.